Rick, and also Morty, of Rick and Morty. In spite of the more extreme elements of Rick and Morty’s saucy fanbase, the Dan Harmon and Justin Roiland-created scifi parody remains a pretty entertaining watch. But after three stellar, wildly popular seasons, its future is uncertain. 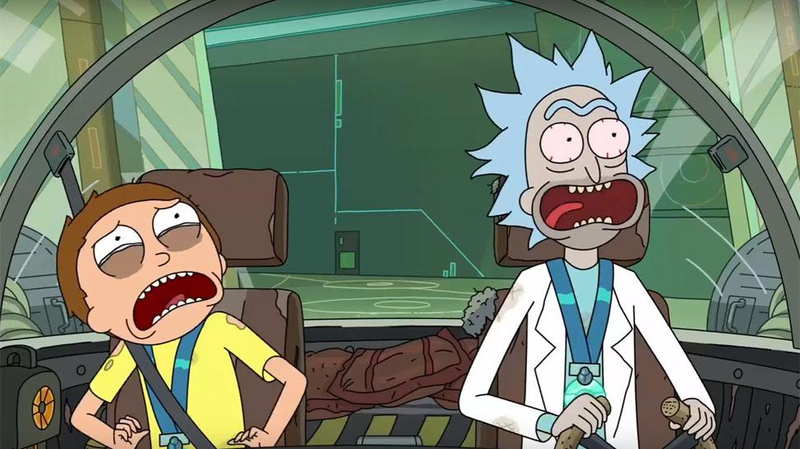 Taking to Twitter, Harmon clarified, in a discussion with an angry fan, that the reason the creative staff were not working on the fourth season of Rick and Morty is that Adult Swim has yet to order it. For a show of this level of popularity for the network, it’s a surprising revelation, and according to Harmon it’s preventing him from writing anything for the show at all. This isn’t the first time major delays on the part of the network have been discussed, either. In January, the Detroit Cast spoke with series writer Ryan Ridley, who said that, at the current pace, new episodes might not be ready until late 2019. And while Ridley seemed confident, at the time, that more Rick and Morty would happen, the fact that no work has since been done, and that Adult Swim has yet to even order a fourth season of the show, has to be disconcerting to fans. So while the show does seem likely to return eventually, it’s looking like it could be a long wait.